So, I found a workaround: I decided to create mirrors of my projects on GitHub. And, in this article I’ll share, how do I do this. Thanks to Git-SVN each Subversion repository can be also represented as a Git repository. Such Git copy preserves the link to the original repository and, therefore, Git commits to the copy can be exported into SVN as well as new Subversion commits can be imported to the Git copy. For mirrors I need only the latter (as I’m not going to make or allow new commits through Git). I decided to store my Git mirrors under the /var/lib/git directory (considering that I store Subversion repositories under /var/lib/svn). My Subversion repositories are owned and managed by the user www-data, so Git mirrors should be owned and managed by the same user (as we are going to call git from Subversion post-commit hook, what is described below). Therefore, the directory /var/lib/git should be owned by www-data too. Some people recommend to use the -s argument here, but this did not work for me. As I understand, this argument is needed to correctly import Subversion branches structure (trunc etc), but I do not use any branches in my SVN repositories. You may need the second entry, if the committer of some commits is unknown. Without this entry Git-SVN may halt on importing such commits. This should work not only for GitHub, but for other Git servers as well. Normally, after that everything is ready to run git push, but not in our case, as we use a system user (www-data). So, first we need to make this user be able to run Git. The following steps can be skipped for further mirrors. After you create the github-update.sh script, as described in the next section, you will be able to run that script to upload mirrors to GitHub. To upload data to GitHub, Git will use SSH, which, in turn, will need to store configuration data somewhere. Normally, it does this under .ssh subdirectory of the user’s home directory. But, for www-data the home is /var/www and we should not store any such data there! 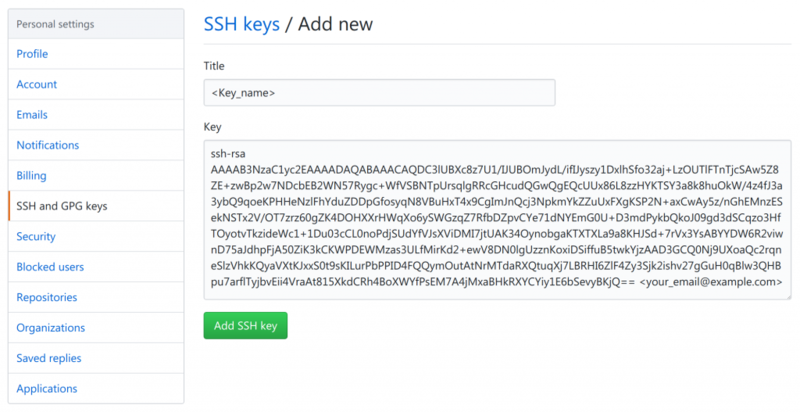 In this particular case, SSH will need to save known hosts and to store the authentication key. Let’s see, how we can have these data under .ssh subdirectory of /var/lib/git. However, this works only for Git 2.3 or above. If your Git version is below, as in my case currently, I’m afraid, there is no other way, than to store it in /var/www/.ssh/known_hosts (for this you should allow SSH to create this file under the www-data user, after what you can make it read-only). Generally, this should be save to as this file will contain only public fingerprint of the GitHub server (which is known publicly anyway). Here, I assume, that you do this in BASH or DASH shell (default shells on most Linux distributions). If not, you may need to replace -s with -c.
After that, you can check the mirror repository on GitHub. All exported commits will have git-svn-id in their messages. These is the ID, that associates Git commits with Subversion ones. Their addition to commit messages can be avoided by creating Git repositories using git svn init with --no-metadata argument, but, as I understand, in such case you won’t be able to fetch new commits from Subversion repository (I did not check this). Now, the Git repository, which was uploaded to GitHub, is a full mirror of the Subversion repository, but, certainly, it won’t automatically include new changes, that are committed to the original repository. So, that’s what we are going to fix right now. Most commands in this script are already known to you. The only difference is that instead of git svn fetch we call git svn rebase here. Both these commands fetch new commits from the Subversion repository, but the latter is the recommended way to do this. Besides, as you can see, the script requires one argument – the name of the Git repository (in my case, it can be different from the name of the Subversion repository). To make sure, that all new commits in the Subversion repository will be automatically pushed to the Git mirror, we will call this script from the Subversion repository’s post-commit hook, which is executed (if present) right after a new commit arrives. If your Subversion repository does not have such hook yet, it’s the time to add it. So, go to your repository, which in my case is located in /var/lib/svn/issue-id, find the hooks subdirectory there and create file post-commit.sh (if it’s not yet there, of course). Also, make sure, that this file is executable by the user, that manages the repository (www-data in my case). By passing /usr/local/bin/github-update.sh as an argument to ssh-agent we make sure, that the SSH agent will stop right after the script finishes its job. In this way we avoid calling ssh-agent -k or something like this. Now, everything is ready to test, if new commits arrive to the Git repository. So, go and add some useful changes and commit them to SVN. This is an optional step, that I personally don’t do currently. Since 2.x Redmine supports multiple repositories in one project. So, if you have registered your Subversion repository in Redmine, you can also register its Git mirror. If your primary Subversion repository does not have identifier in Redmine, you can start with specifying it. This can be done in Settings → Repositories → Edit of the project. For example, you can use main-repository as the identifier. You should also make sure, that the Git SCM is enabled in Administration → Settings → Repositories (without this you won’t be able to register Git repositories). If you use my SCM Creator plugin, you should also make sure, that allow_add_local is enabled (you can read more about this option here). After that, you can create new Git repository in Settings → Repositories of your Redmine project. For Identifier specify, e.g., github-mirror and for URL – /var/lib/git/issue_id.